Humans have always desired to push their limits and test their capabilities. They put persistent efforts to keep getting better. Anne Mathias similarly took to Alpine style climbing to challenge her own limits. 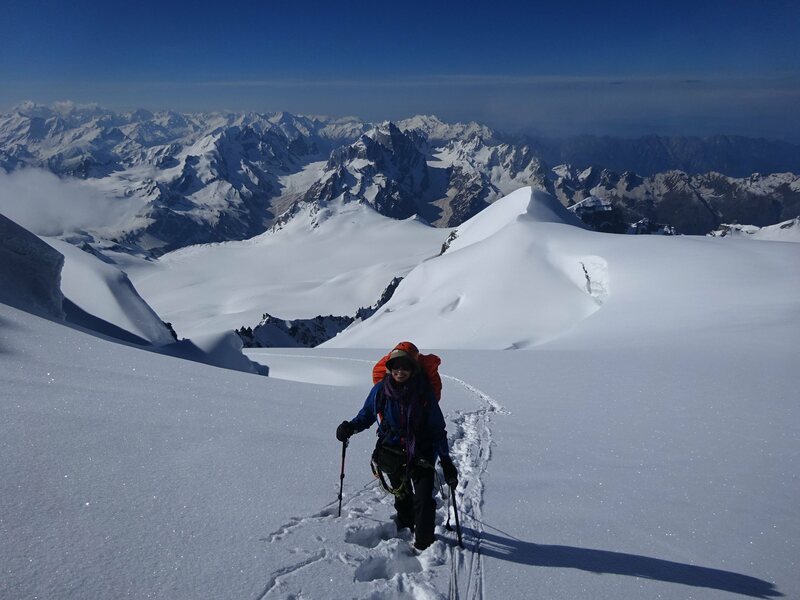 On 14th February, 2018, she became the first woman to perform the Alpine winter ascent of Stok Kangri. In Alpine style of mountaineering, you expend your own energy by carrying your food, shelter, equipments, etc. Unlike in traditional expedition style, here you open your own routes and fix ropes by yourself without the help of any high altitude porters. It is a tough and an unforgiving version of mountaineering. Alpine style, essentially, refers to a completely self-sufficient manner of mountaineering. Anne leads a ‘conscious, vegan’ living and surprisingly hadn’t even seen a snow-capped peak during her childhood! So, how then did she get bitten by the mountaineering bug? Find out in this compelling story. She had packed a flask of coffee, a water bottle and some biscuits in her bag at around 4 am, and set out alone on road to the Dhauladhar range from Naddi village near Dharamshala, Himachal, before eventually losing her way. “I was crying endlessly. I had lost my way on the mountain and a shepherd had found me around 7:30 in the evening,” recalls Anne. It was Anne’s first encounter with a mountain; she had seen a snow-capped peak for the very first time in her life. 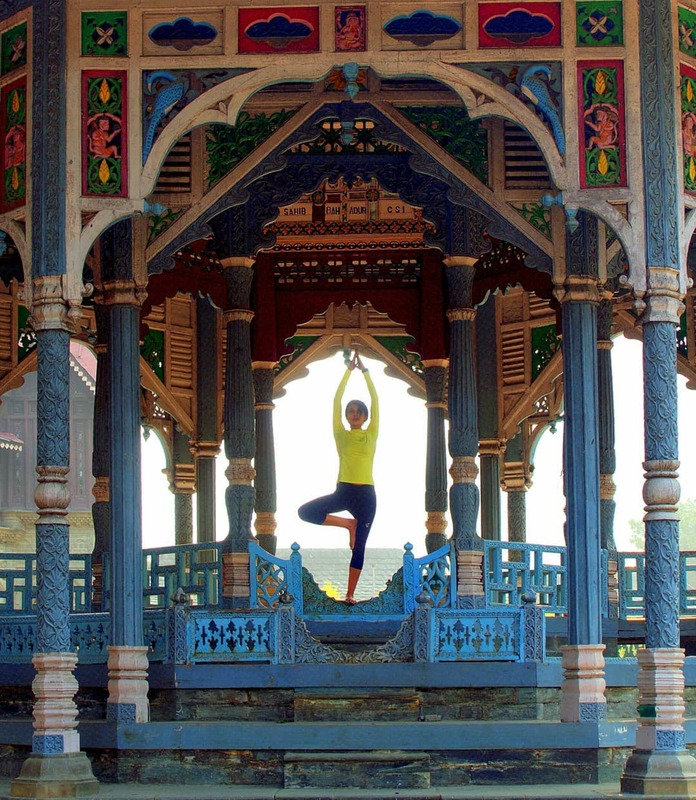 “I was in Himachal for the first time and was being hosted by a retired air force officer. He was sharing his experiences on training and mountaineering when I naively inquired whether one could get to the snow-capped peak and return back by evening. He laughed at me and replied only mountaineers go there. At that time, I had thought that he didn’t want to take me there. So, I left alone at 4 in the morning,” she revisits. In retrospect, Anne who hails from Udupi — a coastal town in Karnataka, hadn’t realised how mountains could be deceptive. When the shepherd found her and brought her back to the host family, the host was furious at her. He shouted, “Do you think yourself to be such a great mountaineer?” which she defiantly interpreted to mean that she wouldn’t have got lost if she were a mountaineer. 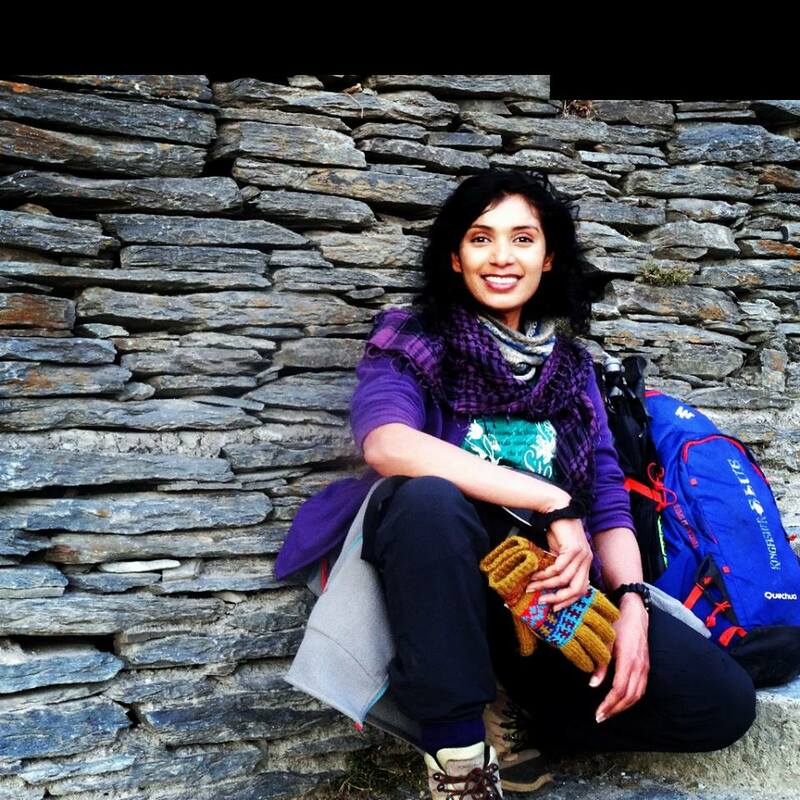 So, she searched for mountaineering courses in India, applied and went to Jawahar Institute of Mountaineering in Pahalgam, Kashmir to take training. Since then, there has been no looking back. 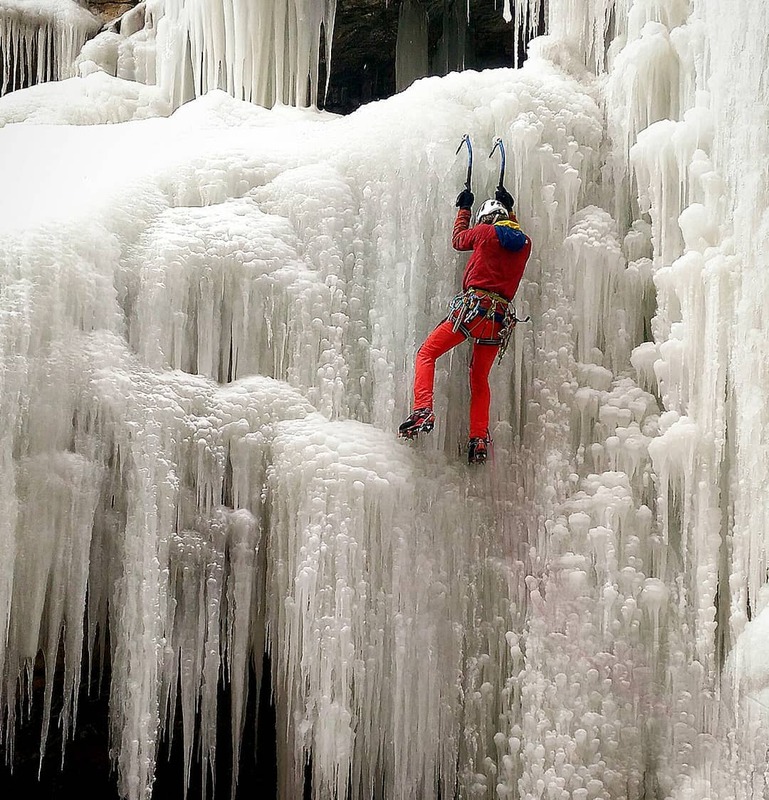 “This is how I got introduced to mountaineering. My life has been like a comedy of errors. 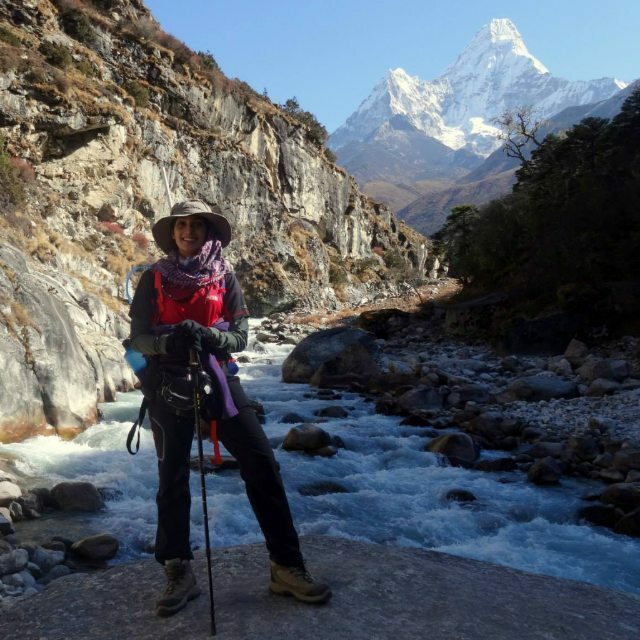 I was never passionate about mountaineering, and hadn’t dreamt of becoming a mountaineer as a child,” she tells. Anne, who claims to never having been athletic, was leading a sedentary lifestyle and is now consciously conditioning her body to change. The training has worked. 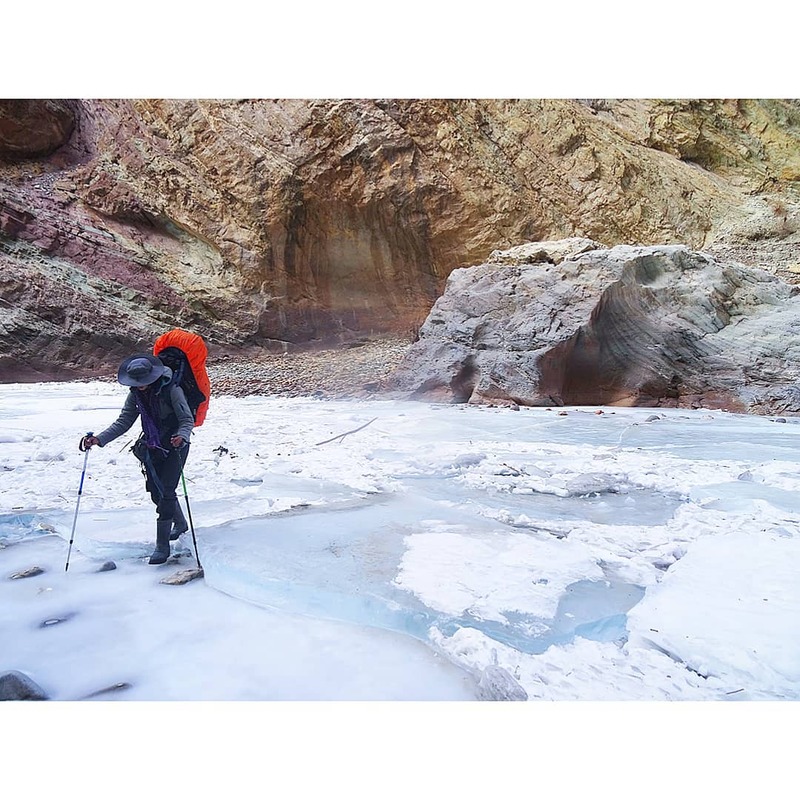 Apart from the Alpine winter ascent to Stok Kangri, she has undertaken the Alpine style climb to Deo Tibba, trekked to Golep Kangri, Hanuman Tibba, Renok Peak in Sikkim and often returns to Spiti for ice-climbing. Interestingly, every time, she goes on a trek, she is on a lookout for feathers. She collects these feathers to weave a dreamcatcher, which serves as her personal memento of the trek. Anne started with the traditional expeditions, and incrementally exposed herself to harsher conditions. This one time, Anne was a part of IMF’s (Indian Mountaineering Foundation) Climbathon Training expedition and the group was supposed to scale Mount Kun. But, due to bad weather, they didn’t summit the mountain. In order to not give in to the disappointment, Anne and her partner — Keval Kakka, summited Stok Kangri in season. The entire trek lasted for just 2 days. 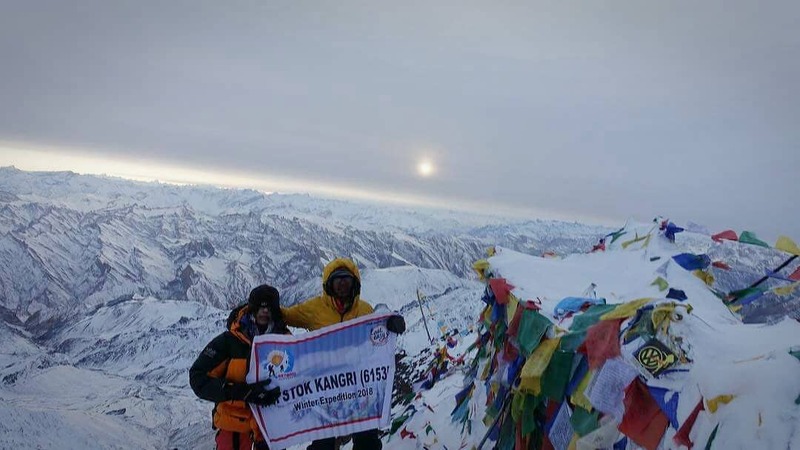 Confident, they planned on climbing it in winter as well and hence, successfully made a summit to Stok Kangri in February 2018. The temperature at Stok Kangri (6,153 m) can go as low as minus 40 degrees centigrade in winter, along with deadly wind speeds of 50 km/h. Despite the harsh conditions, Keval and Anne had planned to complete the expedition in 4 days. “When you participate in an Alpine climb, you try to wrap up the expedition in as short a timeframe as possible, because you are carrying the entire load. We were optimistic about completing the trek in four days, since both our bodies were already acclimatised,” explains Anne. However, the mountain gods had other plans. It snowed heavily and they were stranded in their tent for 3 days. Thus, the trek was extended to be completed in 6 days. A winter expedition has its other sets of challenges, as well. Your body and mind tend to shut down and you are also at the risk of losing appetite. Besides, you don’t even realise when your mind is not functioning optimally. 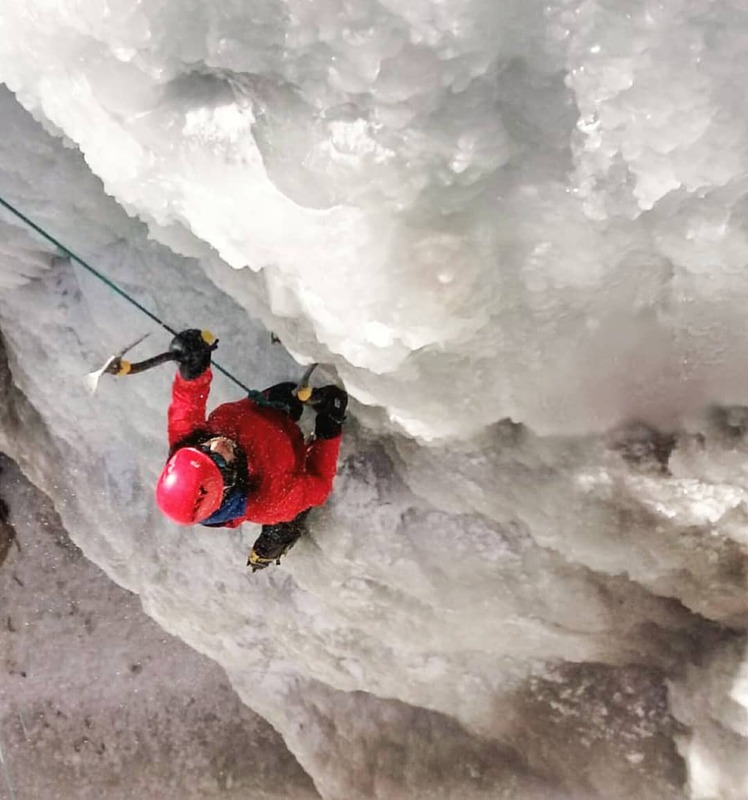 The symptoms are visible only to other people who interact with you.” When her climbing partner Keval started to go quieter and started to sense numbness, Anne realised the signs of Hypothermia. “That is why, whenever you go to the mountains, you should always go with someone you trust. It is not safe to go on Alpine climb especially, with people you have not climbed with before,” warns Anne. To add to her troubles, Anne’s crampon clip got jammed at the summit ridge, and wouldn’t latch onto her boot. So, she was forced to walk without a crampon. As a result, she slipped on the verglas at the summit and hurt her left knee. Due to the injury, she had to slide down with the support of her hands while descending. As her hands were exposed to snow for a longer period of time, she received minor frostbite. 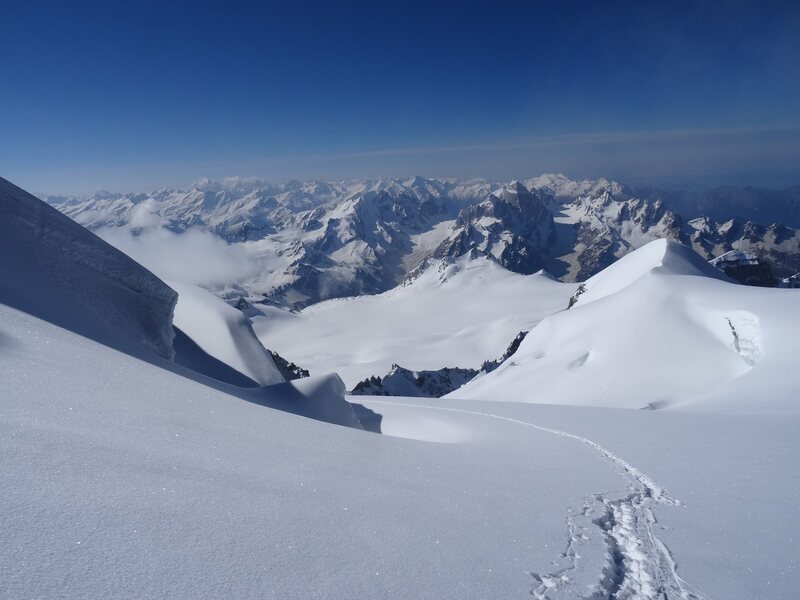 This winter Alpine ascent has given Anne an opportunity to learn about her own strengths and weaknesses. According to her, the mountaineering courses only serve as the guidelines; the real learning takes place only on the expedition. 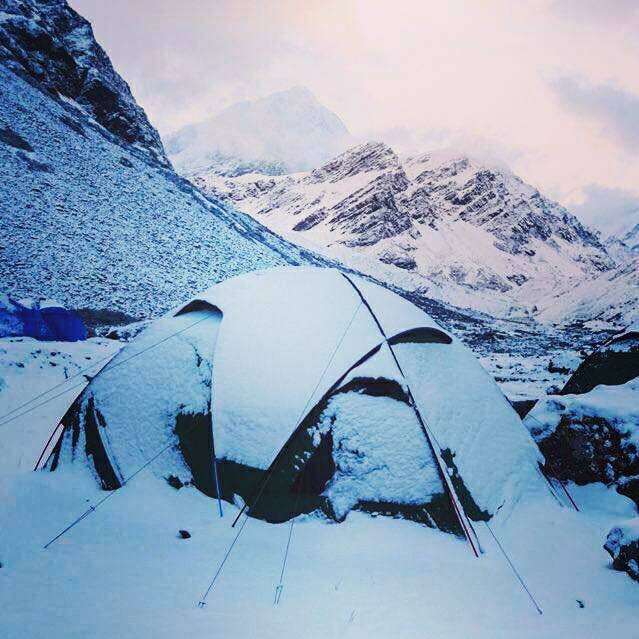 She introspects, ”In this expedition, I found that I can’t get bored even when stranded in a tent for 3 days. Neither do I get restless when the mountains throw up any adverse situations. Thus, I never lose my patience, the lack of which can lead you to making the wrong choices. This is my strength. On the other hand, my weakness is that so far, I was only dependent on my lifestyle to be normally fit. But, to push myself in extreme conditions such as these, I realised that a different kind of training was required.” Today, Anne trains herself by running and performing cardio exercises and yoga. 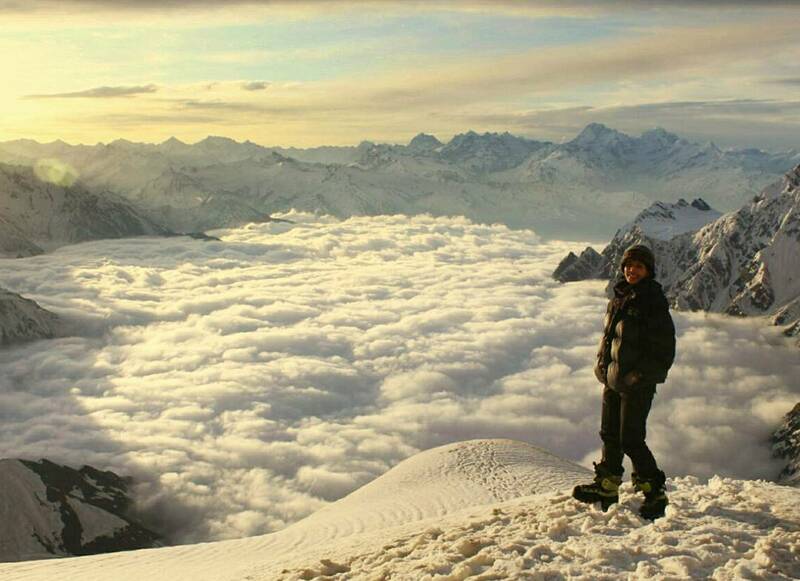 She further describes how mountaineering is a form of meditation for her. When you are pushed to face the extremes, you don’t have any energy left to think or to be distracted. Your body expends lot of energy just to stay alive. Hence, you are only focusing on breathing and taking one step ahead. Anne who hails from an agricultural background, owns a coconut plantation in Udupi, from which she earns her bread and butter. When Anne shifted to Udupi from Mumbai and had her own dairy farm, she realised the gruesome reality of dairy food industry and thus, completely turned vegan two years ago. Before that, she was a vegetarian for ten years. An avid reader, Anne is a big proponent of sustainable living and often shares her musings on her handle — indian_vegan_life. ”Right from childhood, we are conditioned to look at an animal as a commodity. We are not even aware of the cruelty inflicted upon these animals,” she says. Every time Anne comes back from an expedition, she is happier and stronger. With each expedition, she grows as an individual and wants to explore more of her capabilities. She also doesn’t like to exaggerate her achievements, as she doesn’t believe in glamorizing mountaineering. She ends the note with the thought that in mountaineering or any other adventure sport, one should not take reckless risks. One should go to the mountains sensibly and responsibly.